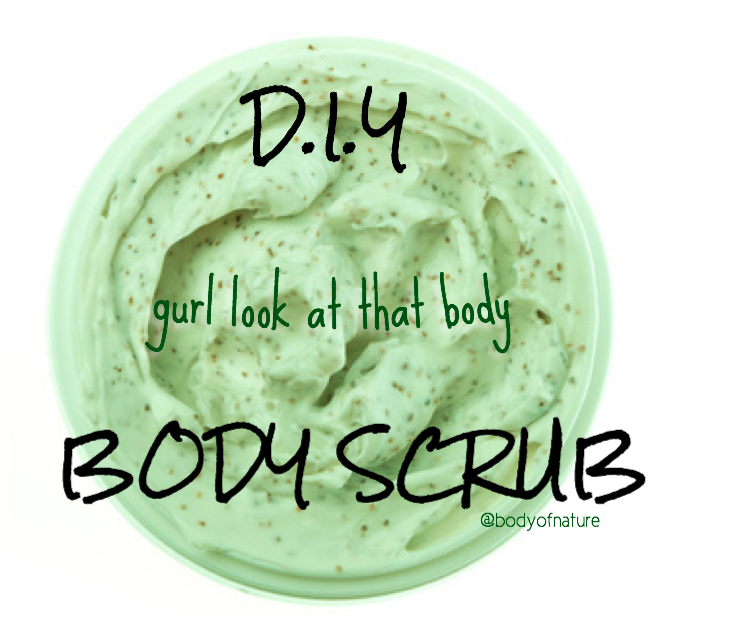 DIY Body Scrub: Gurl look at that body! Burning a hole in your pocket because your always purchasing expensive manufactured body scrubs and lotions? One thing I always do is look after my skin, but sometimes when I’m not at home and don’t have access to my collection of products or if there is a dramatic change in weather and all I want to do is enjoy the sun, I forget to cleanse and hydrate my skin. This is why I wanted to create something I could always have in my handbag, is storable, will last a couple months, hydrates and exfoliates my skin together and of course, smells great! I have attempted so many different combinations and each one was either too watery, smelt foul, went mouldy within a a few days or didn’t have any effect on the skin whatsoever. So you could say I was a little excited when I found a combination which worked. The end result? Gurl look at that body Body Scrub. The combination of brown sugar & coconut oil exfoliates and leaves your skin feeling silky, fresh and soft while targeting cellulite, blackheads, removing any excess dead skin or dirt and hydrating the skin. Fatty acids in coconut oil mimics the same effects of antioxidants; preventing and reversing free radical damage on the skin for a younger-looking appearance. Aloe Vera regenerates skin epithelium and fights inflammation, leaving skin smooth. It also soothes skin from sunburn and irritations. Vitamin E stimulates the formation of collagen (skin protein) to improve skin texture and strengthen the connective tissue underneath the skin. Store leftovers in a dark cool place for up to 2 months. TIP: Replace brown sugar with oats for a gently baby scrub! FACT: The rubbing action boosts circulation and increases blood flow to the skins surface for better hydration. Join the Body of Nature Nutrition family on: Instagram | Facebook | Twitter for more recipes, competitions, exclusive interviews and a place to connect and meet similar health enthusiasts like you.